It has become common knowledge that the health of your mouth impacts the overall health of your body as well as your quality of life, but you may still be dragging your feet to make a dentist appointment. 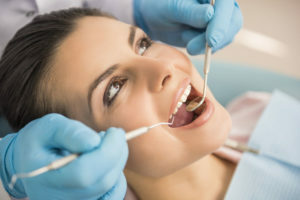 Skipping even just one of your regular six month dental appointments makes your mouth more vulnerable to decay and injury, especially if you are experiencing any of the following problems. Regularly finding blood in your toothpaste is not something you should ignore. Bleeding gums are usually the mouth’s way of announcing gingivitis, the first stage of gum disease. When plaque on your teeth and at your gumline is not properly removed, gingivitis causes the gums to become swollen, tender, and more prone to bleeding. A professional dental cleaning is the only way to comprehensively eliminate the bacteria that has built up in your mouth and give your gums a chance to heal. Do you smile with closed lips and hide your mouth behind your hands? Do you avoid certain social situations altogether due to a feeling of embarrassment and discomfort with your teeth? If so, this behavior is a clear message that cosmetic and reconstructive surgery is needed to eliminate your dental problems. The longer you wait to see a dentist, the worse your issues will become, so act quickly for the best results. Dry mouth is a frustrating and dangerous condition that puts your teeth at higher risk of decay. This condition is marked by cracked lips, a sticky feeling in the mouth or throat, trouble swallowing or speaking, and gum irritation. When your mouth fails to provide enough saliva, more bacteria and acid collect on your teeth and trigger unwanted decay. It is essential that you quickly seek dental attention to begin treating your dry mouth and giving your teeth that continual supply of saliva they need. Regardless of which dental problem you are experiencing, don’t wait any longer to seek advice and care from Obrochta Center for Dental Health in St. Petersburg, Florida. Dr. Obrochta is here to provide the personalized attention you need to improve your oral health and maximize your quality of life. 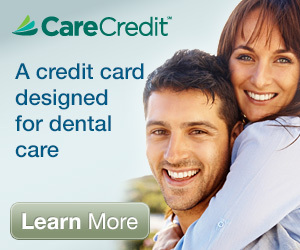 Call (727) 321-4464 to make your appointment today.